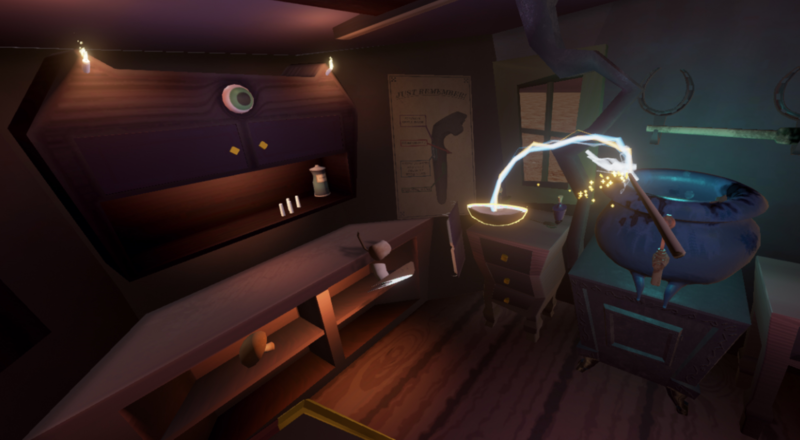 Cures and Curios is a virtual reality game using the HTC Vive set in a mystical take on the Old West, where the player inhabits an old fashioned medicine show cart in the center of a small pioneer town. Each day, the player must concoct a variety of potions for the locals that come to their shop. 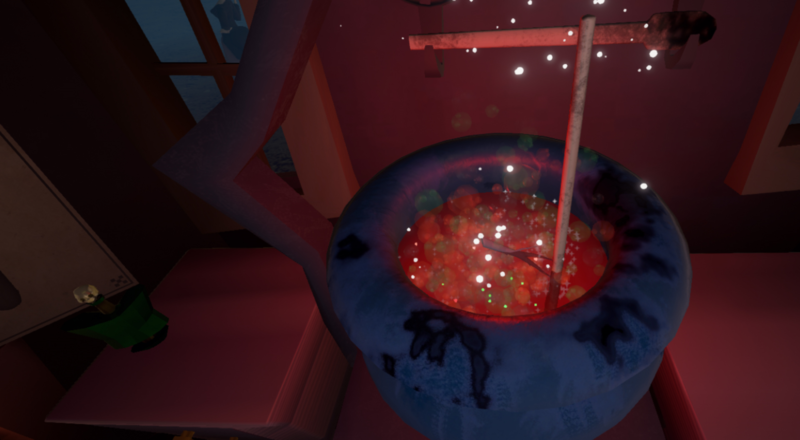 As your potion-making skills grow, so does your options, with new recipes, ingredients, tools, and rewards. As a student team, we wanted to create a unique VR experience as our final project here at DigiPen, taking advantage of our opportunity to explore emerging technologies. This game started in our Junior Year, where the use of the HTC Vive was ironed out, but has been extended into a senior project devoted to developing a more refined environment and experience. Extensive ingredients list for exciting potion crafting! Narrative elements to explore and expand game world! Refined 3D audio experience for immersive game feel! Dabbing animations, and other advanced gestures! Fun cart environment to explore and interact with! Skull Tree Games allows for the contents of Cures & Curios to be published through video broadcasting services for non-commercial purposes only. Monetization of any video created containing assets from Cures & Curios is not allowed. Skull Tree is a student team at DigiPen dedicated to providing unique and engaging experiences which explore and expand the possibilities of virtual reality. More information on Skull Tree Games, our logo & relevant media are available here.